Western Isles MSP Alasdair Allan and Angus MacNeil MP have expressed their dismay at the news today that telecoms company Talktalk are set to close their site in Stornoway. Earlier today, the company announced that it would be making all 59 staff at its site in Stornoway redundant as of July this year. Talktalk are one of the largest private sector employers on the island and have had a presence in Stornoway since the site at Gleann Seileach Business Park was acquired from OneTel in 2005. 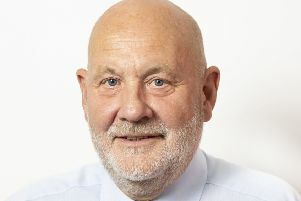 Alasdair Allan MSP commented: “Today’s news is deeply troubling, and my thoughts are with the staff and their families at what will be a very difficult period for them. Commenting Angus MacNeil MP said: “Having spoken with TalkTalk, it is obviously disappointing to hear that they have taken this step. TalkTalk acknowledge that they have highly skilled staff in Stornoway, dealing with complex customer complaints. “What TalkTalk are doing is essentially centralising around Salford, Manchester. They will not be talked out of that decision it appears. I am not sure what might happen in the future but we clearly have to flag up that there is an opportunity for another company who want to have such highly trained staff to gain from this situation.